Win! A Saving Grace Scented Candle! We’ve got a fantastic giveaway for you today! 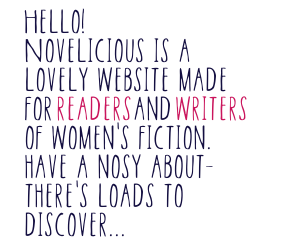 To celebrate the publication of Jane Green's latest novel, Saving Grace, three lucky Novelicious readers can win a scented candle, the perfume of which was personally created by Jane Green herself. To enter please leave a comment below this post. The three winners will be selected at random and the competition is restricted to UK and Ireland residents only. Is there a dish that can instantly transport you back in time? A meal or a cake with time travelling possibilities? For Cath there was. And it came disguised as an iced bun. Bookends by Jane Green, quite possibly one of my favourite books, is about a group of friends from university who have continued to be friends now they've moved to London and got proper, grown-up, jobs. Well, all of them except one. Portia. There is Cath, who works at an advertising agency but is ready to try something else. Si, who loves a bit of drama and bows down to the cooking queen that is Queen Delia. Then there is Posh Josh, who married Lucy after uni, who happily settled herself into the group of friends. Portia, who they all radiated around at university, is now off the scene. Because, even though the group were established around her, she also drove a wedge through them by what she did with Josh and what she did to a girl called Elizabeth. And this is what Cath is remembering, along with the iced buns. There was a fission of excitement running through the group of friends because Elizabeth is coming to their university town to stay with them for the weekend. They're all looking forward to meeting her. All of them, that is, except for Portia. Don't you want to meet her? asks Cath. She could picture exactly where she was when she asked that question. She was in an old seaside cafe that would always be filled with either students or old ladies, eating iced buns, drinking tea or coffee. And she remembers asking that question – even though it didn't occur to her that Portia would have feelings other than joy at this girl, a great friend of one of their great friends, arriving. For Cath, an iced bun reminds her of happy, carefree, student days and of her best friend, Portia, sitting in the cafe where they would chat and laugh. But it also reminds her of the distance that grew between them. For me, these iced buns remind me of my childhood. And they are so simple to make. Jane Green was the author to watch in the 90s with books like Straight Talking, Mr. Maybe and Jemima J. So it was lovely to be invited along to meet her at the launch of her new book, A Patchwork Marriage. With many of her family present and the Penguin team just gushing with praise for one of their biggest authors, it was lovely to see that Jane was as friendly and chatty as fans of her books might expect. Jane, it seems, is returning to one of her earliest characters with an idea to make Jemima a writer and start writing YA fiction by her. She seemed genuinely excited to return to the character and was so delighted to have people at the event. JG: I think the first thing is do it. There are two types of people in life – those who talk about it and those who do it. The people who succeed are the ones that do. It sounds so simplistic and stupid but I'm just very aware of meeting lots of people who talk about wanting to do lots of things – not writing particularly – but they talk about being very good at something and they're not doing it. Writing is one of those things that anybody can do. You can't necessarily get a publishing deal [laughs] but if you want to write then you need to be writing! There is no other way. Writing is very much a muscle. The more you write, the better you get. If you can get into the habit of writing every day – it doesn't have to be for long – but it's a muscle, it's a discipline, it's a habit. So, if you can set aside time every day to write, that is a wonderful start. Also, write the story you need to tell, not the story you think will sell. Don't start thinking 'I'm going to do 60 Shades of Green'. Write the story that you need to tell. Start at the beginning and work through till you reach the end. I meet a lot of people who say they have five projects on the go and I think 'Well, how are you ever going to finish?' It has to be linear! A writer's biggest downfall is procrastination and the easiest way to procrastinate is to start another project. One has to just keep going on the one you've started. A: So focus and determination, then? JG: Focus, determination and discipline. Discipline, discipline, discipline! Even when you don't feel like it. Because I was at the Daily Express for a couple of years, I learnt the art of discipline, the art of writing even when you're not inspired. When you have an editor standing over you every day saying 'Jane, we need a thousand words in an hour', you can't say 'Well I'm sorry, I'm not inspired'. That's how writing is. Even if you're not inspired and you have no idea what to write, you sit down at your desk and you start writing. Something always comes – and even though it might not be very good, you can always go back and edit later. Our full interview with Jane will be coming to Novelicious very soon. Be prepared - it's fantastic! For those of you living in West Yorkshire or nearby, this event looks really interesting. The Hebden Bridge Arts Festival are hosting an interview with Mega Bestseller and all round impressive lady, Jane Green. The person asking the questions will be none other than lovely fellow author Linda Green! Green and Green. It's genius. And I'm Greenwood. Mad. Anyhoo, the event is on tomorrow (3rd July) at 6pm. Tickets are £5 and you can get them (and other information) from here. This Friday the 13th Goodreads will be hosting a live video chat with the aaaamazing Jane Green. They will be discussing her books old and new and her life as a writer.You can tune in live at 5pm ET/2pm PT/10pm GMT or watch the recording later on. While we're on the subject of Jane Green have you all seen her envy-inducing house in Connecticut? It's called Figless Manor and the kitchen makes my knees feel wibbly. Here is the link to the video chat.